There are a lot of good places to visit in Asakusa other than Sensouji and Nakamise street. 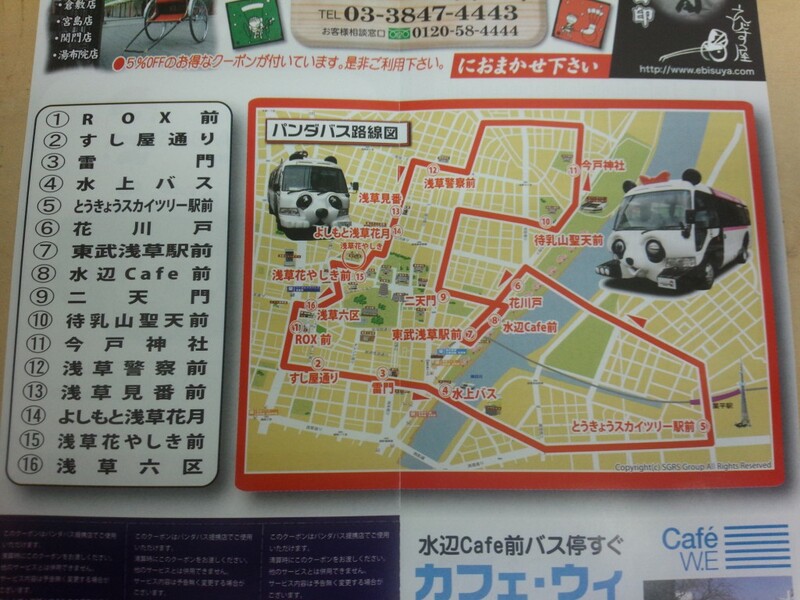 These places are a little bit far from stations but it is easy to visit there using a free “Giant Panda Bus”. This is a bus stop. Bus comes every 50 minutes. 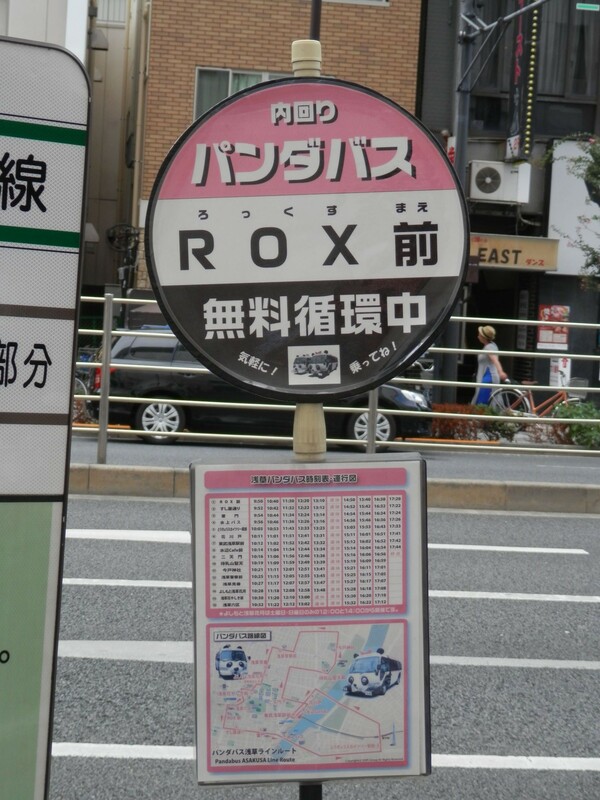 There are 16 bus stops including, “Asakusa Rox”, “Kaminarimon” and “Tobu Asakusa Station”. 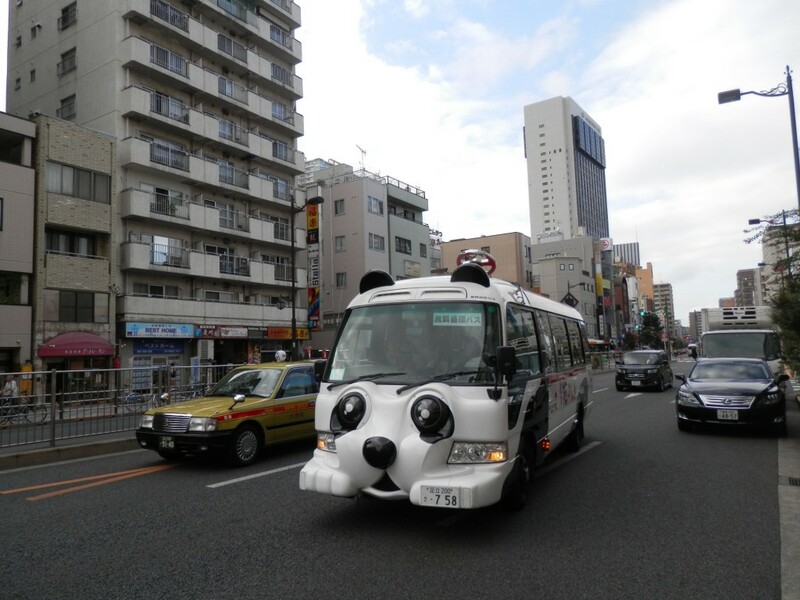 Here we start our sightseeing tour with a “Giant Panda Bus”. 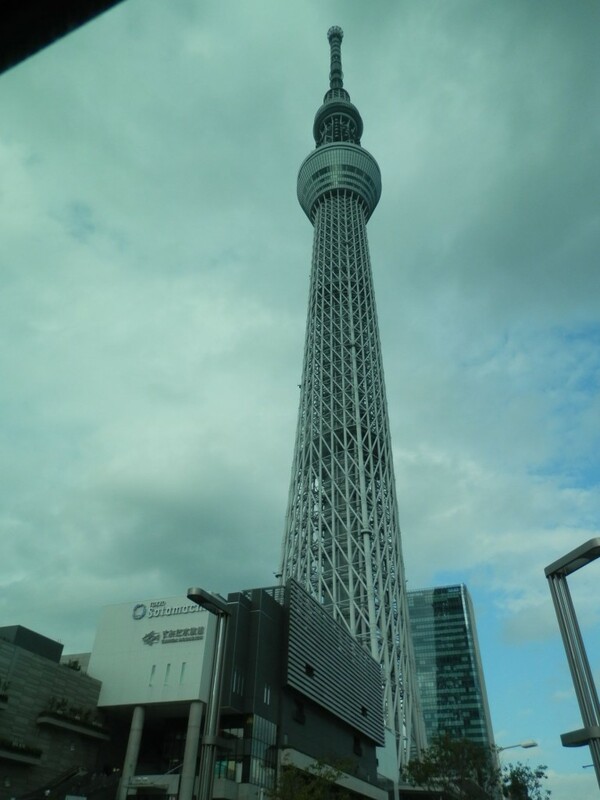 First of all, Skytree!! It’s great we can reach there for free from Asakusa. 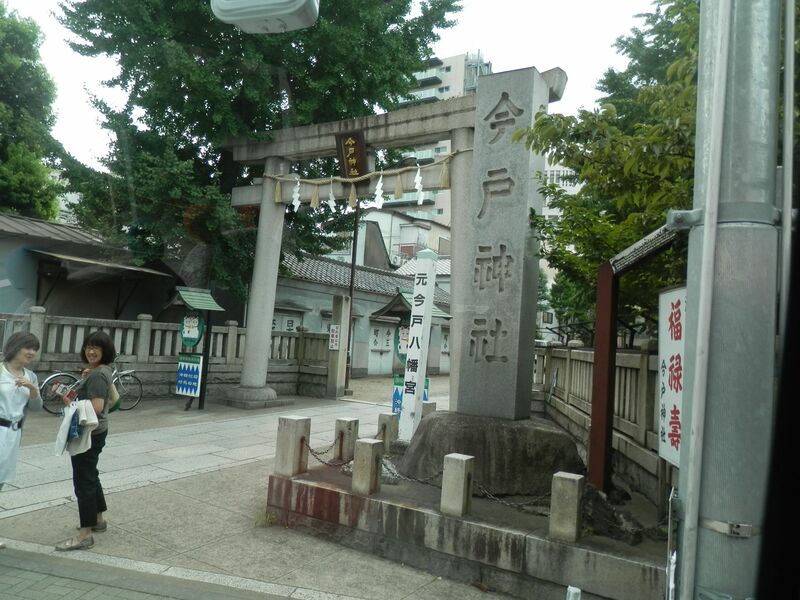 This is “Imado Jinjya(shrine)”, which is famous as a god of marriage and always crowded with young ladies. 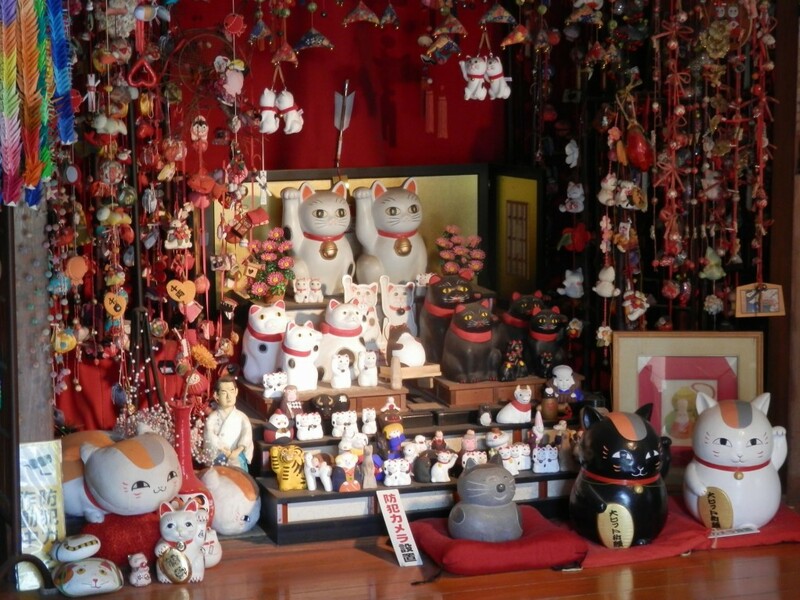 It is also famous as the birthplace of Manekineko(a welcoming cat). 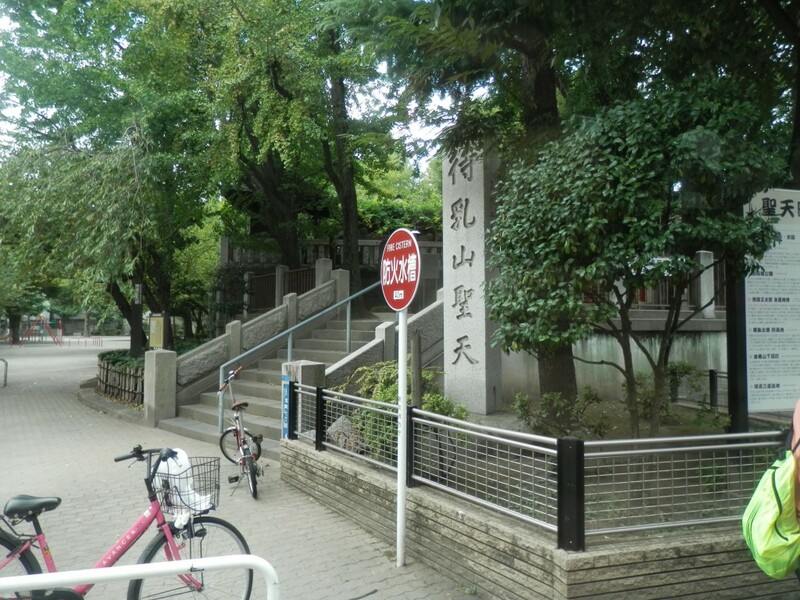 This is “Matsuchiyamashouden”, which is famous as a shrine to make the couple get along well with each other. It is quite relaxing surrounded by green and silence. How do you like it? Please also visit some other sightseeing spots with a “Giant Panda Bus” in Asakusa. P.S. I would like to introduce “Imado Jinjya” and “Matsuchiyamashouden” in detail sometime later.